Heat water and sugar to boil, occasionally stirring to avoid burning. Add the cloves, peppercorns, cinnamon stick, vanilla and almond extracts, and cherries, then simmer for 15 minutes, stirring and mashing the cherries occasionally. 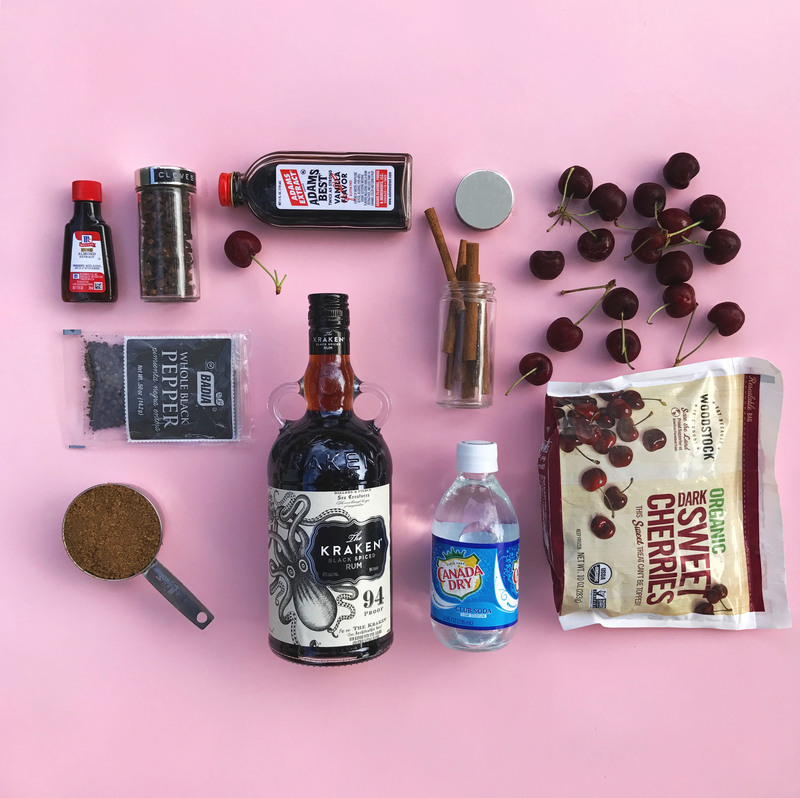 Remove from heat, strain through a fine sieve (I gently mashed the spiced cherry mix to get all of the juice out) and chill in the refrigerator or freezer until it’s at least room temperature. 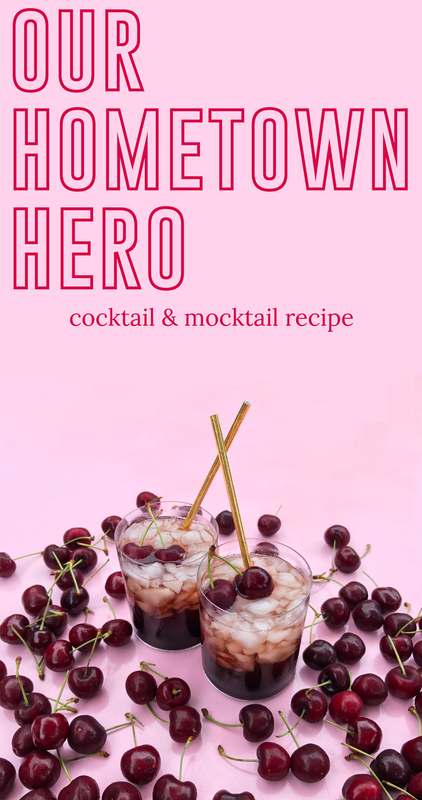 Pour over ice and top with soda water, garnish with fresh cherries. So cute! Love the pink photo background. I might be the only person in the world who hates drinking through paper straws, but they look so dang cute in photos! !